What’s Fueling Colorado Car Insurance Rates? Startling insurance loss trends are emerging that put Colorado in the top ten states for growth in insurance claims and costs to pay those claims. Coloradans are now starting to see those skyrocketing costs add up to higher insurance premiums and they want to know why. 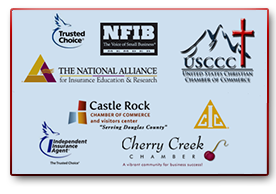 Some quick facts to help you better understand Colorado’s volatile auto insurance marketplace, along with potential solutions that would benefit all Colorado drivers. 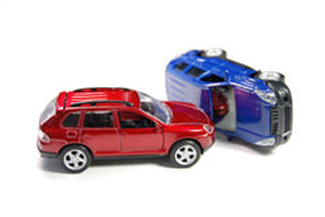 Bottom-line: There are more auto accidents and each accident is more likely to end up in costly litigation. Colorado ranks 4th in the U.S. for growth in number of auto insurance damage claims filed since 2013 with the 2nd highest increase in collision repair costs. Colorado insurance companies recorded a loss of nearly 18% on physical damage in 2014 (Source: Fast Track Monitoring). Traffic fatalities increased 24% from 2014 to 2016 (Source: CDOT). Colorado’s damaging hailstorms cause millions of dollars in damage annually. September 2014 recorded the state’s 4th most costly hailstorm, a July 2016 Colorado Springs hailstorm resulted in the 6th most costly and 2009 the most expensive hail season with $1.4 billion in insured losses (Source: RMIIA). SB-181 “Phantom Medical Costs”: allows Colorado juries to have access to both billed and actual paid amounts for medical care to make more informed and fair settlement judgments. Juries are currently only allowed to see astronomical medical bills initially charged, but never actually paid to treatment providers. These “phantom costs” dramatically drive up damage awarded by the courts. SB-182 “Uninsured Motorists’ Double Dipping”: allows for an offset with combined coverage in a claim, so when med pay is initially paid by your insurer for medical bills that amount would go toward the total amount of a UM/UIM claim, rather than creating a situation where the settlement is more than limits paid for and creating a double dipping coverage situation. 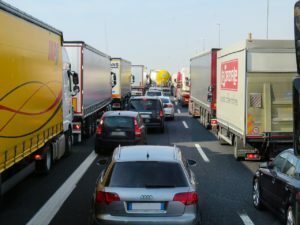 The bill would also no longer allow drivers to “stack” all the uninsured motorist policies in their household to collect multiple coverage for one uninsured motorist claim. SB-191, “Market-based Prejudgment Interest”: Colorado law mandates insurers pay 9% interest on lawsuit awards. Given that most investments don’t provide a return of 9% such a high statutory interest rate creates incentive to file a lawsuit and a disincentive to settle a lawsuit. This bill ties judgement award interest to a market-based index to reflect current economic conditions. “Protection Against Vendor Lawsuits”: disallows third party vendors, such as roofers, auto body repair shops from stepping into shoes of insureds, without their knowledge or permission, to sue insurance companies under a contract that is with the policyholder. 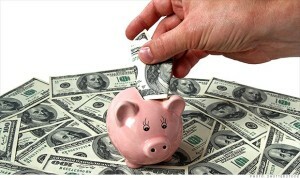 Settlements represent at least double damages and attorney fees—legal costs that are passed on to all consumers. During the past five years, premiums collected by insurance companies can’t keep up with skyrocketing claim costs—costing all Colorado auto insurance consumers higher premiums. While the city of Denver has plenty talking points to brag about, apparently vehicle theft is not one of those points. According to the National Insurance Crime Bureau, the Mile High city ranks in the top 10 on the list of metros for auto thefts with keys. This means that while most of us would think it logical to always lock our car doors, many of us are not doing so. In fact on a nationwide basis, one out of every eight car thefts last year occurred where a car was left unlocked or the keys or key fob was left inside the vehicle. According to the latest report from the NICB, auto thefts with keys have been a growing issue over the past several years – increasing by 31 percent – with thefts spiking in the fall and winter months. This number could possibly be on the conservative side too, considering that many people will not admit to leaving their cars unlocked or keys inside the vehicle. Even the best anti-theft technology will not help if your car is left unlocked. 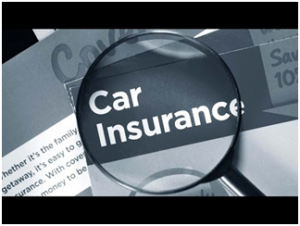 Thus it is not just important to having your car locked but also having a good vehicle insurance coverage that will come in handy at the most needed time of auto theft. 4. Miami-Fort Lauderdale-West Palm Beach, Fla. Depending on your vehicle insurance, you may be covered in the case of auto theft. However, it is important to review your policy to be sure. Checking your vehicle insurance policy to make sure that valuable items stolen from the vehicle are covered by the policy could be a starting point. Aside from securing the right insurance coverage, What else can you do? • ALWAYS lock your car, and take all keys with you – a small slip will cost you much. • Set the car alarm always -you never know when it will come in handy. • Keep any personal information locked up in the glove box – or take it with you when you leave the car. • Never leave your car running unlocked. This can be tempting during the winter months, but it only takes a few seconds for a new driver to take your place. Call Insurance Town & Country today and speak with one of our insurance professionals. We can discuss the needs of your teenage drivers and which insurance policies are best for them. We have offices in Denver (303-388-7216) and Castle Rock (303-688-1251). Call us today to schedule your consultation! For the parents of teenage children, the joy of September’s “Back to School” can also bring with it the fears of having your teen hit the highway. It’s a milestone that both parent and child look forward to: the day when your child is old enough to drive. No more carpooling for Mom. No more chauffeur duties for Dad and the seemingly unrestricted freedom for child. However, that freedom definitely comes with responsibility, and as a parent it is important to discuss such responsibility with your child. Even with the best insurance policy, coverage can only go so far. Having an open, honest, and informed conversation is the best way to get your teen driver to maturely embrace their new driving independence. • Privilege vs. Right. While it’s a normal “rite” of passage for many sixteen year old to get their driver’s license, it is definitely not a guaranteed “right.” To obtain your license, let alone have a car to drive, is indeed a big privilege that not all young adults are privy too. It is important that your child does not take this for granted. • Real Talk. While people love to refer to their automobiles as “toys” – they are anything but. The cause of over 30,000 deaths per year, a car can be a dangerous luxury and should be treated with the utmost respect and responsibility. It’s important to remember that car insurance can only go so far to protect you in the chance of an accident. • Mutual Understandings. The “Rules of the Road” are meant to be followed. Period. Whether it’s speeding, texting while driving, drunk driving, or even “distracted” driving – discussing with your teen the expectations and, perhaps most importantly, the consequences of these rules is necessary for both preparing and protecting your child. • Have a Little Faith. You’ve prepped, warned, and maybe even (slightly) shocked your child about what it means to obtain their driver’s license. Now it’s time for you to trust your child. Trust that you’ve taught them well. Trust that they’ve listened. And trust that will develop into both mature drivers and mature people.